Unless you grew up on or near saltwater, you're probably not so keen to notice the changing of the tides. It's a fairly subtle thing, but the more you've experienced it, the more noticeable, expected and obvious it becomes. You notice the tug on the anchor rope, the fly line or the lobster (or crab) pot buoy begin to weaken. And soon you notice no tug at all. And as sure as the moon rises and sets, the tide will change and the water will soon begin to flow the other way. I sense that is where we are now with the movement to restore the economy, ecology and culture in the Snake River basin. 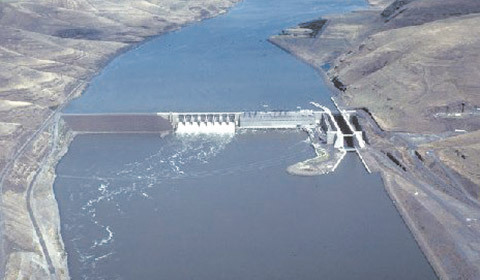 People who never would have considered removal of the four lower Snake River dams (between Pasco, Wash., and Lewiston) are now moving from "never" to "it might not be so bad" to "this could be a really good thing." And the reason is simple: People are feeling the pain of a river lost; they are recognizing what a restored river ecosystem could do for the economy and their quality of life; and they have seen the proof in more than a thousand examples of what river restoration can do -- be it by dam removal, pollution abatement or whatever method was required to fix the problem. And herein lies a very simple and unequivocal truth: Treating the symptoms is not the same as treating the cause, and only treating the cause will bring a lasting solution. For the past 40 years or so, we, like many others, have treated the symptoms with what seems to be an infinite array of mechanical approaches -- fish collection and transportation, spill, hatcheries, captive breeding, research study upon research study. Don't get me wrong, I recognize the need for and value of science, but I also recognize science pushed by politic to insanity. Sometimes science is this simple: Dams get built, fish go away; dams go away, fish come back. The Kennebec River in Maine and the Elwha River in Washington state are the most high-profile examples of what happens when we treat the cause and not the symptoms. The Kennebec story is my favorite: no fish migrating past the Edwards Dam for 162 years. Six months after removal, several species of anadromous fish had returned to their home waters. Thankfully, the fish have a long memory and eternal persistence. And people love river restoration -- even some skeptics and anti-dam removal folks have come to see it for the success that it is. The people of Riggins, the Lewiston/Clarkston region and many other river communities should be complimented for seeing the facts for what they are and recognizing that a new approach is long overdue. It was false advertising: The four lower Snake River dams have not and will not deliver prosperity. Moreover, the benefits of strong fish runs and healthy rivers have shown people that the real path to prosperity is through removal of those dams. David Cannamela has been a Boise resident for about 26 years. He loves to fish, hunt and ride bicycles, and is a native-plant enthusiast.